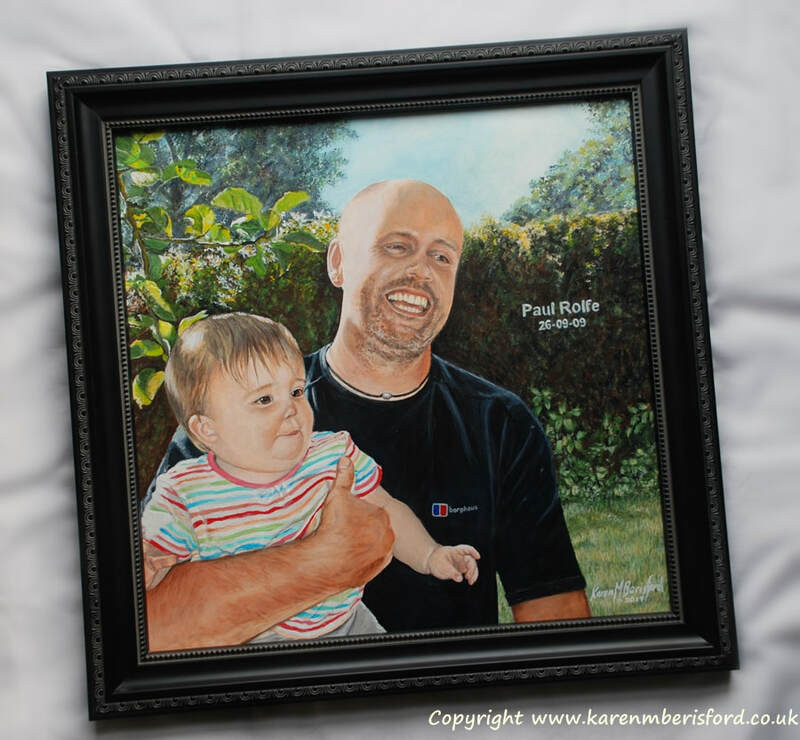 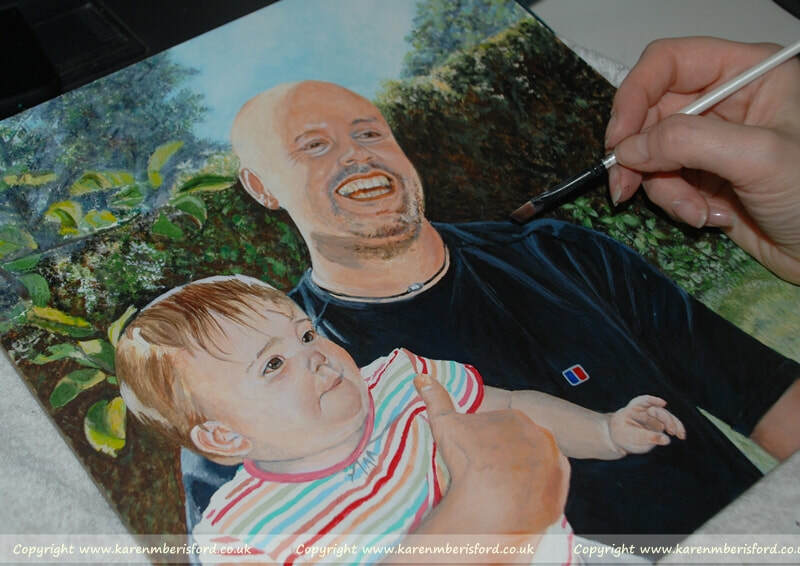 This was booked as a special gift for the Commissionee's wife, the gent in the painting being her late brother. 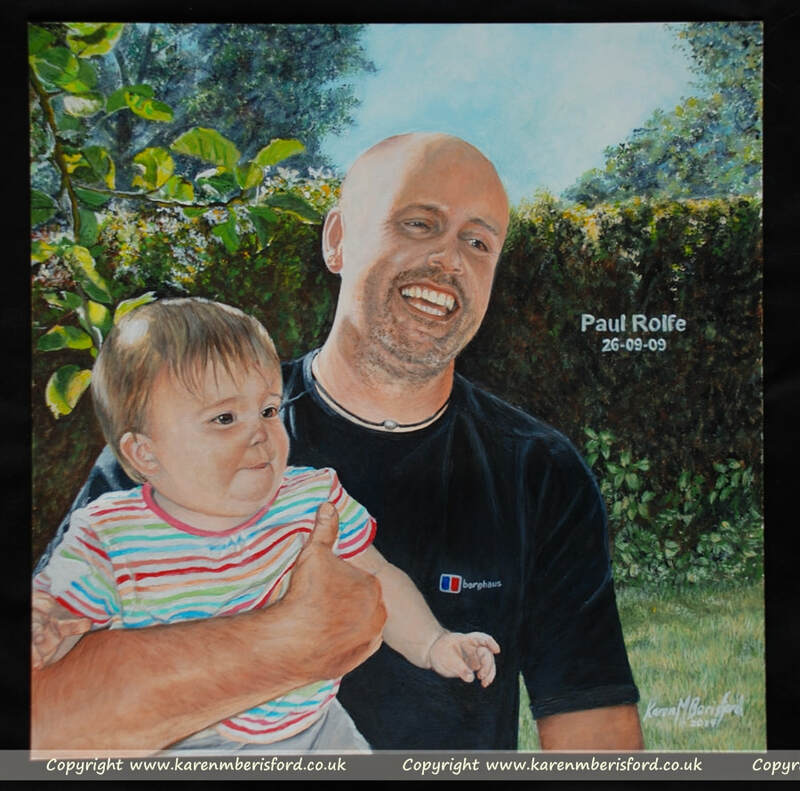 It was requested that the bright sunshine over saturating Paul's face in the reference image was to be left as part of the portrait and only slightly toned down. 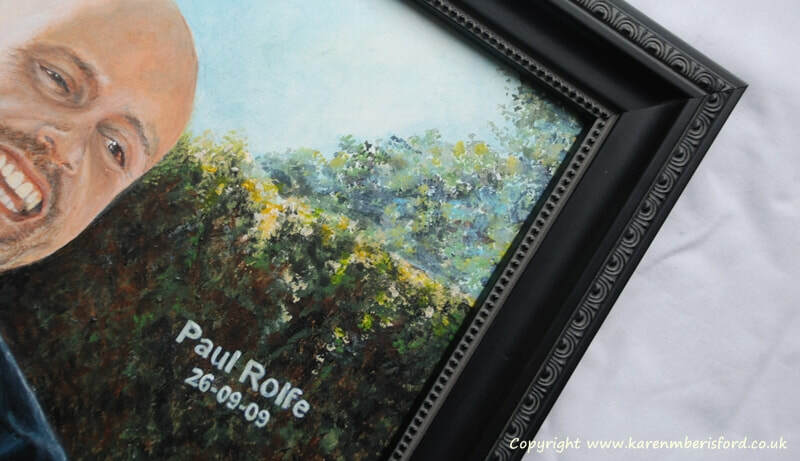 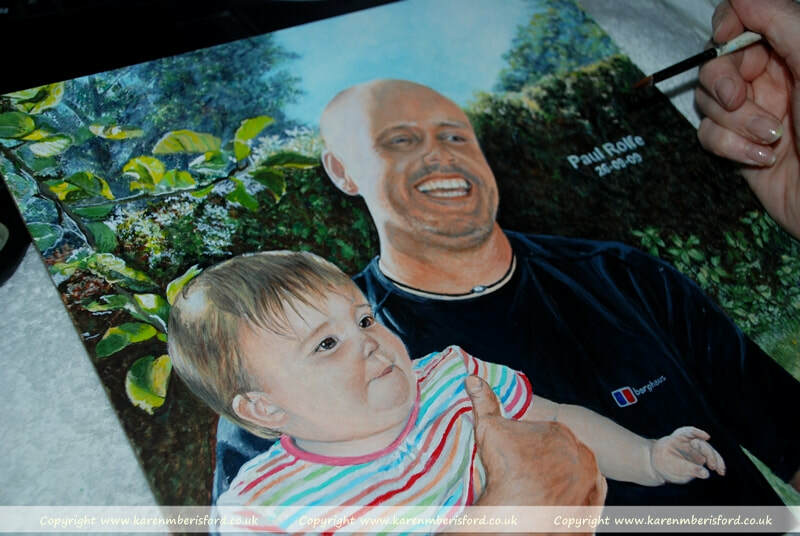 By adding a pale blue sky and fading the foliage in the background, this would help to push all the focus onto the 2 most important parts of the painting, Paul himself and the little baby. 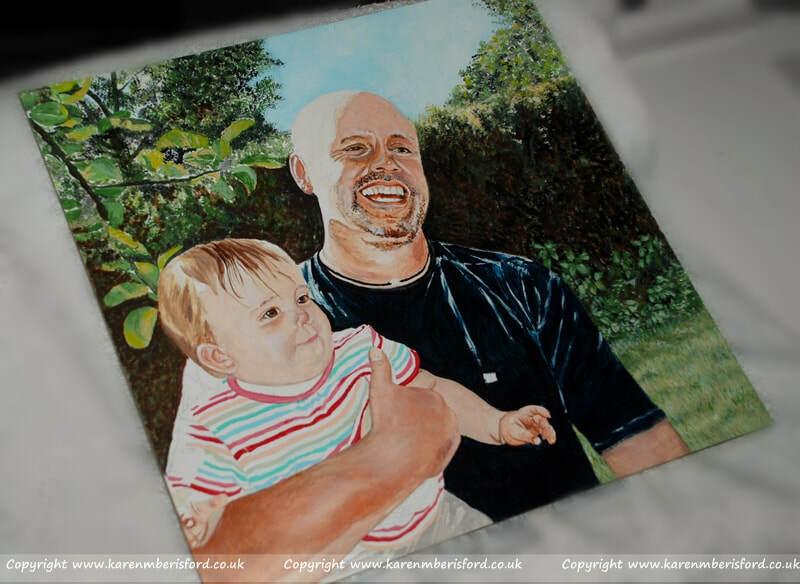 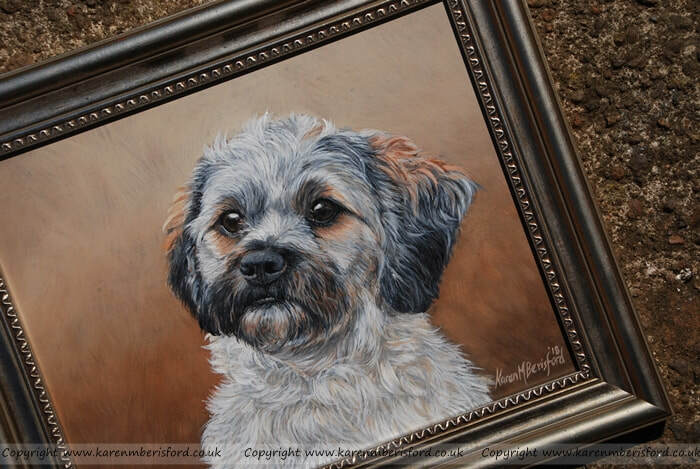 I thoroughly enjoyed painting this portrait. 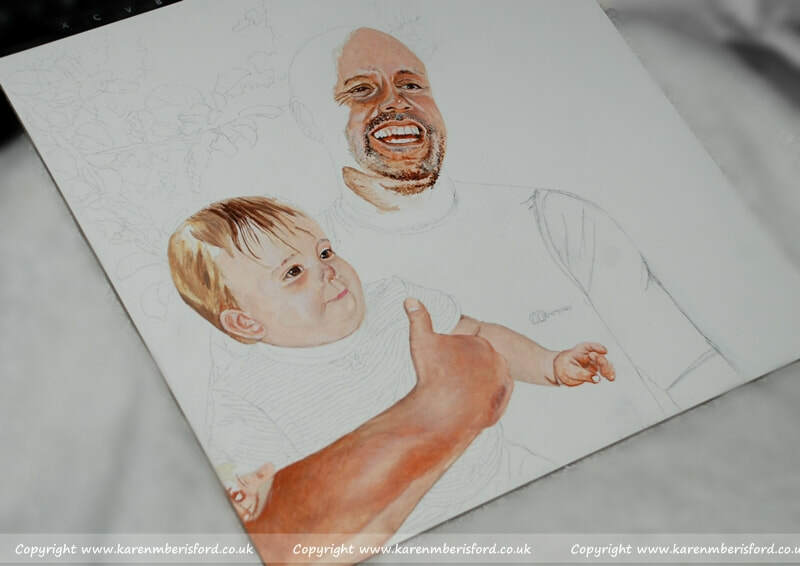 The first layers start off rather loose which can give an untidy appearance but these are tightened up during the second stage. 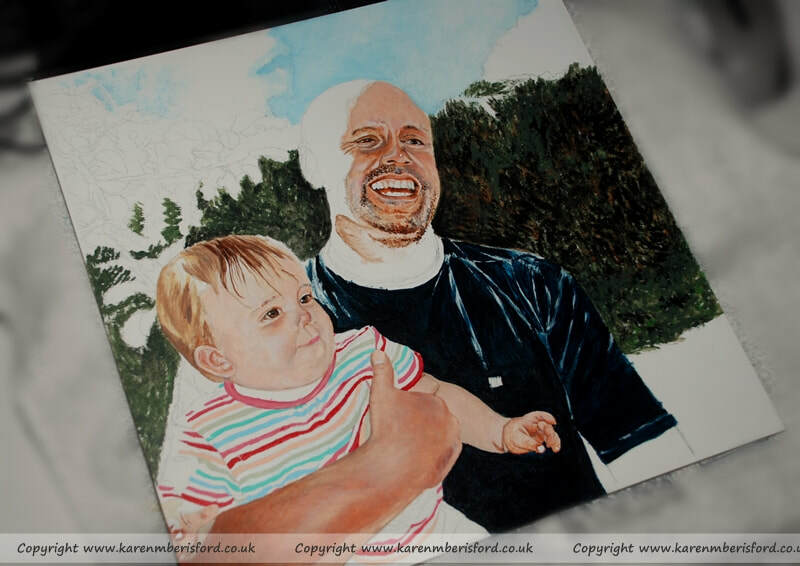 I begin the painting with a loose placement of facial details and the tones of the skin before beginning the application of the undertones in the background. 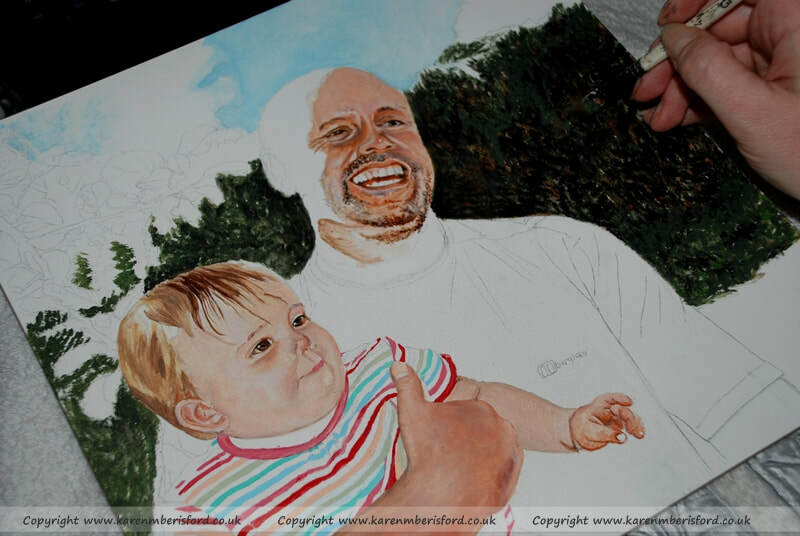 The second stage is fine tuning the details and smoothing out any rough lines and edges.